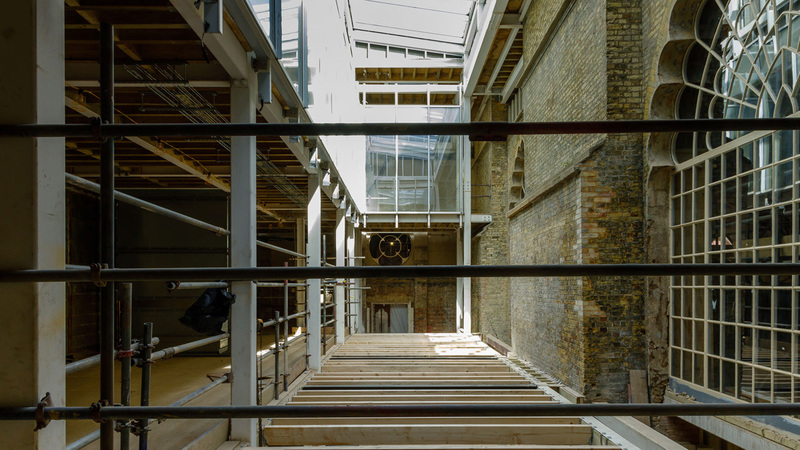 Take a look at the latest progress on-site, as heritage feature continue to be restored, new spaces and state-of-the-art facilities are being built. The new Gallery space is really starting to come together, with flooring being placed on the lower floor and on parts of the upper floor. 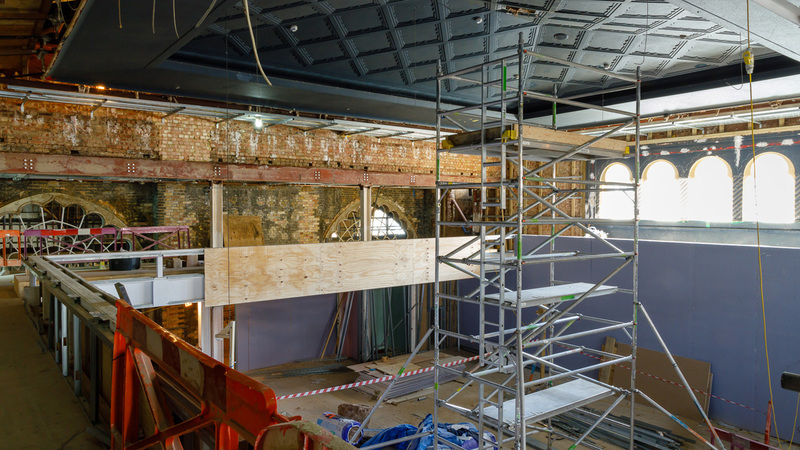 These two spaces will become new bars to service the Corn Exchange and Studio Theatre, with natural light flooding in from the double height glass roof. 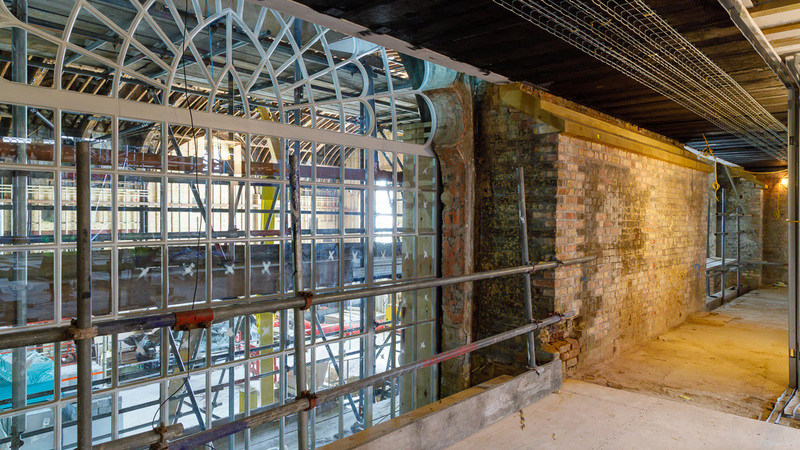 From the upper Gallery space, you will be able to see into the Corn Exchange through the historic windows. 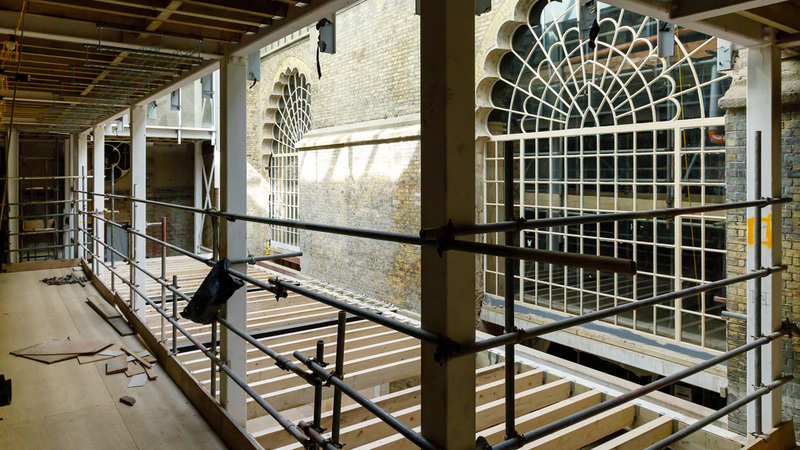 In the Studio Theatre, the new balcony is being installed, giving you a closer look at the historic windows, which have been repaired and fully glazed. Access into the Studio Theatre is also being improved, with a new lift installed and a walkway behind the balcony seating to make it easier to move around the space and get to your seats. 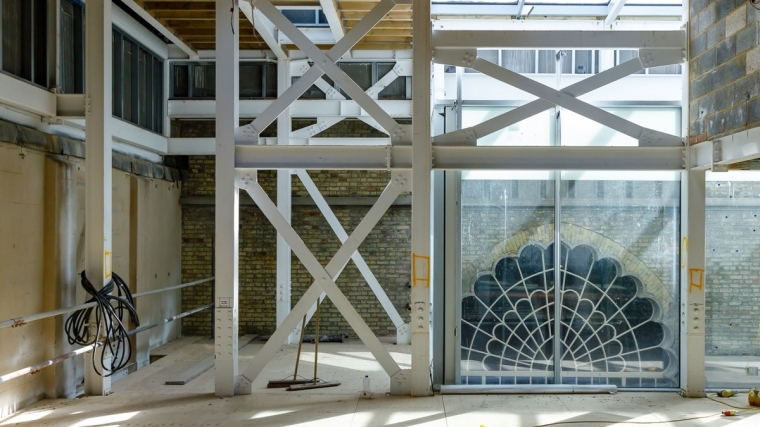 You will also be able to see into the Corn Exchange through the historic windows. 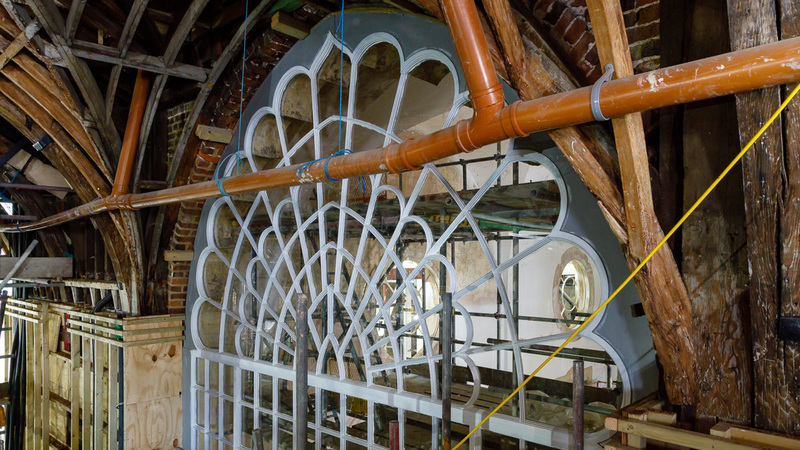 Restoration work continues in the Corn Exchange, with tie rods being installed to strengthen the original Riding House roof, and the windows being re-installed after being taken for repairs and restoration works. The new balcony is also coming in to place, which will improve seating and access in the space. 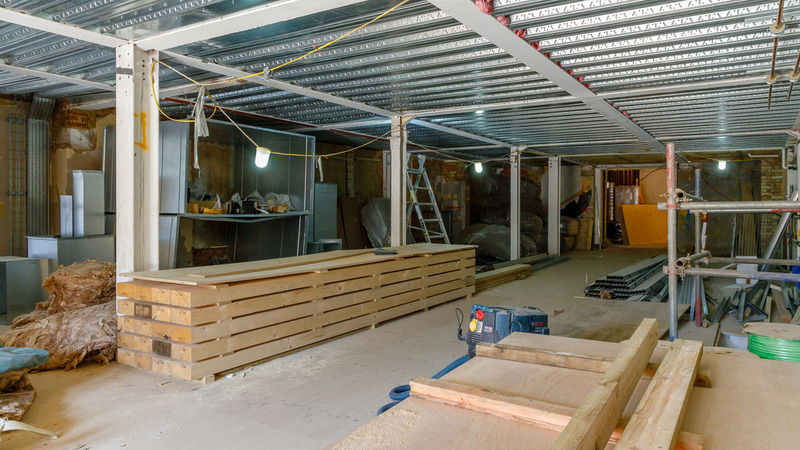 The new cafe below the Studio Theatre is starting to take shape, with the internal walls and areas being set out, and installation of new windows and doors which are being fully glazed.